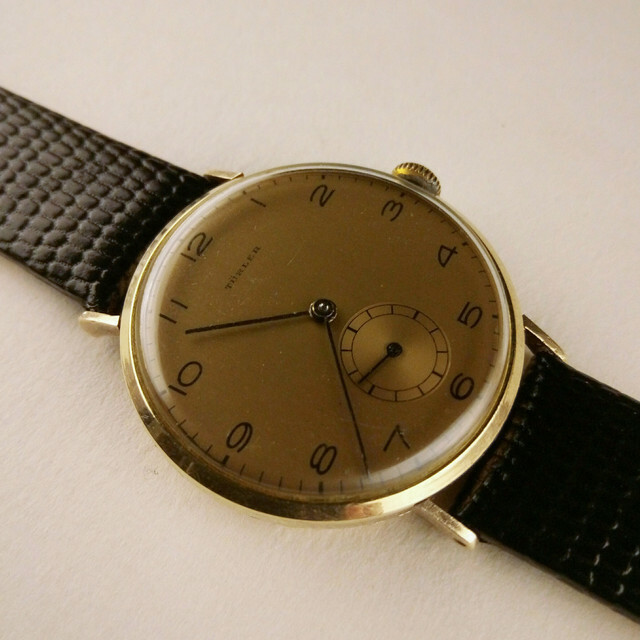 : For sale vintage Türler Calatrava style circa 1940.
: Hand winding Cyma movement cal. 32b / serviced. : Brass + rolled gold case.